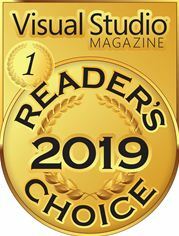 SQL Provision received a gold in the Security & Copy Protection category at the 2019 Visual Studio Magazine Reader’s Choice Awards, and Redgate was also revealed as the Best Performing Company in Security & Infrastructure Software in the recent Megabuyte50 Awards. Launched in January 2018, SQL Provision offers companies a new way to provision copies of production databases for use in development and testing. Many developers like to work with such copies to test their changes against and ensure they are not breaking changes. Those copies, however, often contain personal data which legislation like the GDPR and the Payment Card Industry Data Security Standard require to be safeguarded. SQL Provision resolves the problem by masking sensitive data with data that is truly representative of the original and retains its referential integrity and distribution characteristics. It then uses the tried and tested virtualization technologies built into the Windows operating system to create copies, or clones, of the masked database in seconds. The clones are only around 40MB in size for a 1TB database, work just like normal databases and can be connected to and edited using any program. Importantly, the masked clones can be provisioned repeatably, reliably and quickly, and SQL Provision also provides an audit trail to demonstrate compliance with data privacy legislation. Hence the popularity of the solution with readers of Visual Studio Magazine, and recognition of Redgate’s contribution to security software by independent research provider, Megabuyte. Alongside the gold award for SQL Provision, Redgate also won some other notable Visual Studio Magazine awards. SQL Toolbelt received a gold for the fourth year running in the Databases and Data Development and Modeling category, SQL Prompt won a gold for the second year running in the Productivity Tools category, and Redgate’s ANTS Performance Profiler won a silver in the Performance, Profiling and Debugging Tools category for the fourth time. Redgate continues to develop SQL Provision to make it more valuable to users, and the product team is currently researching areas like masking templates which can be applied ‘off-the-shelf’, and providing alerts when databases are updated and new sensitive data needs to be masked.